It is well known that crop rotation plays an important part in the planting and growing of healthy vegetables. As there are a number of options for planting crops making a choice on one of these strategies will depend largely on the vegetable in question, how large your garden is and your personal preferences. Many gardeners opt for single rows. Using this method of planting, vegetable seeds are sown in rows or lines spaced equal distances apart. Depending on the vegetable being grown the distance in between the rows and seeds will differ accordingly. Sowing seeds in straight lines is the norm, which can be achieved by stretching a string between two stakes one either end of the plot. Wide rows is another method commonly employed. Here seeds are spread equally in both directions over a wide area. The width of the row varies typically from 6 to 16 inches. However, the row's width is limited by how far you can reach into the miidle of a row whilst standing at the edge. Wide rows work well for beans and peas. Besides delivering high yield per unit area, wide rows reduce unwanted weeds, and are suitable for starting leafy vegetables such as lettuce and spinach. When seedlings do surface, they can easily be thinned out and replanted in another place. Firstly, the likelihood of diseases and insects being transmitted to the following year's crop is greatly reduced. There are certain diseases and insects that will invade specific vegetables, by moving from the plants to the soil where they winter. In cases where the same vegetables are grown in the same area every year, diseases and insects will come up from the soil and ravage the new plants. Every vegetable soaks up trace amounts of important minerals from the soil. So if the same vegetable is cultivated in the same place year in year out, the minerals required to grow healthy vegetables will be severely reduced, which in return will result in a poor harvest. Ultimately this means that we too will take in a lot less of the essential minerals that our body requires to maintain good health. 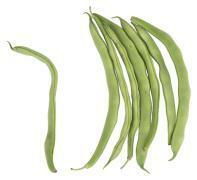 The roots of legumes (peas and beans) have bacteria that absorb nitrogen from the air. To take advantage of this, legumes should be followed by a leafy vegetable, such as lettuce and spinach, which require nitrogen-rich soil. This is one of several different strategies organic gardeners employ to grow vegetables without having to use chemical fertilizers. Having said that, it may prove to be impractical to rotate every crop each year if you have a small garden. This issue can be partially overcome by choosing disease-resistant vegetable varieties, keeping your garden clean of debris, and watching out for any sign of destructive insects and diseases. In the event a plant becomes plagued with insects, it may be possible to pick them off by hand; but if a plant is diseased it should be pulled from the ground and discarded.